Now that the no-trust vote is behind Parliament and nation, and the victors are savouring their achievement and losers licking the wounds that they had inflicted on themselves without much thought, it is back to the political back-tracks, the good old way. It means, sharing of the spoils among the victors and launching a blame-game for the losers. In this case, the victors are known to demand, if not always obtain, their share in the cake – or, or of spoils, if not ‘loot’ of a democratic kind. This can become vocal and demonstrative after a time. Worse still for Prime Minister Ranil Wickremesinghe, who is the leader of the pack, there are multiple claims and multiple demands, one often at loggerheads with other or others. On the losers’ side, this one group is so disinterested and disenchanted and even more distanced, from the results of their doings. They are so very philosophical, or at least most of them, that both victory and defeat go to the ‘maker’, Mahinda Rajapaksa in this case. MR too has learnt to take both in his stride, especially after losing the presidential polls – at least in terms of tactics, not necessarily in public-bearing. 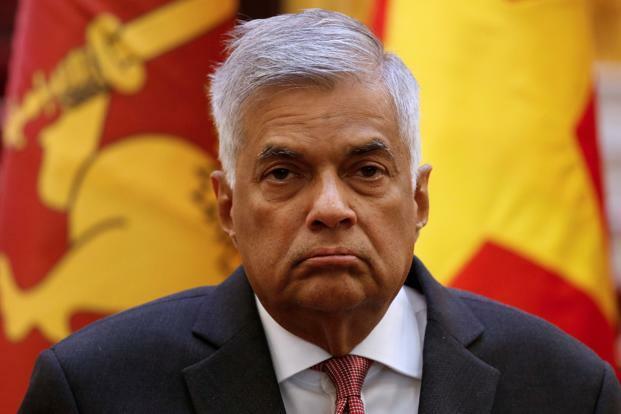 Not given to sharing or keeping his promises – both a Sri Lankan trait, as in many other Third World democracies – Ranil can find the going tougher this time round. His trial and tribulations begin here and now, on the home-front that is the UNP that he heads. As vague as eve, and as tactical as ever, Ranil is believed have thrown around hopes and aspirations all round. Those chickens would soon come around to roost, and that may not have to wait for long. If nothing else, there is not much time left between now and the next round of elections, the D-day for ‘em all. Ranil had begun his current campaign on the no-trust vote with the promise for the party to be revamped, and handing over the organisational reins to the younger generation. He was also reported to have told one-time in-house adversary, Sajith Premadasa that the latter should be ready to accept greater responsibilities – though he did not seem to have hinted what he had in mind, for the other. This is the kind of mind’s game that Ranil has played on his UNP adversaries through the past decades of his personal/personalised leadership. When in trouble, appoint committees, analyse their results to the point of tiring out the other side, and dump it, has been his standard operational procedure (SOP). This time round, he did precisely the same — hence possibly there was no excitement over the stage-play, either within the party or outside when the nation was debating the impending no-trust vote, post-LG poll defeat for the party and his leadership. But it is getting worn out, and his friends and adversaries alike have seen through it, and have no more patience left for it, either. Ranil has to accept the writing on the wall, that he is not growing younger (though much younger than most others, starting with eternal competitor in Mahinda R). Then, he too cannot escape anti-incumbency after a time – which is already upon him and the party, as the UNP under his leadership alone has suffered such short stints of popularity that they have not been able to keep, a la JRJ, CBK or MR. Questions thus remain: Is Ranil ready to trust others, even his adversaries from within the party, as much as he respects like MR from outside of the UNP? Two and more important, is he ready to share power with those that he does not trust? Three, most important of them all, does he trust anyone at all? The history of post-Independence politics and polity in the country shows that party leaders need only henchmen, not even trouble-shooters. The latter class emerges out of nowhere in the party’s hour of need – which also happens to be the leadership’s hour of need. They burn for a short while, and then burn out. Rather, they are doused out of limelight even before they had said, ‘jeeeezzz’, afterward. Ranil is manipulator par excellence in the nation’s politics, now and possibly ever, but only after predecessor JRJ. Self-indulging over praises heaped on him when his stars are otherwise on the high, his camp has often forgotten that there is a world outside of that small circle, and there are voters out there, who are conscious of the events and developments all around them. If Mahinda lost the third round, which he imposed on an unwilling nation that too owed to the yes-men and fair-weather friends that he had accumulated around him. His entire Cabinet, including later-day successor Sirisena, senior ministers like Nimal Siripala, and allies like CWC’s Arumugan Thondaman and SLMC’s Rauff Hakeem, not to leave out the high-profile(d) AIMC’s Rishad Baithudeen, all swung with the current, as it suited them electorally. Less said about the likes of self-styled ‘moral men’ like JHU’s Patali Champika Ranawaka and his ministerial colleague in Rajitha Senaratne the better. More than the leaders they ‘continue to serve’, they know which side of their bread (alone) has butter, jam and marmalade, all put together, and how much more of it than for the other. Such persona have no qualms to target their past leader(s) – when they had become past leaders — after serving him well, and still can continue to declare from the pulpit, day after another day, “Had I but served my god with half the zeal I served my king…”, in true Shakespearean tragedy style. They would do it again and again, and would claim at every turn that they were hearing voices from within, voices from the ground, and voices over their stat-phones. If JRJ did not have to undergo the trial that Mahinda inflicted on himself without retiring in grace – and also the tribulations that accompanied it – it owed mostly to the ‘liberal, democratic image’ that he had inherited in and from the UNP, of which he was the leader. The prevailing era when he quit, when IPKF arrived and the Sri Lanka Army was beginning to target militant JVP youth in the South was the right recipe for him to enact a 18-A kind of Rajapaksa law to contest a third time. Whether he would have won an internal battle against a waiting-and-raising Ranasinghe Premadasa may be an academic question at this distance in time. There is a lesson in it for Ranil, too, just now, when he has his political future to plan, and try and ensure all-round help and cooperation, of which he has need from all side and all-comers than the more defined and definitive approach of a Rajapaksa rival, for whichever post or position. To be fair to the likes of Sajith P, and more so he personally, they have all kept their word to the party and the leadership, ever since ‘Operation Sirisena’ was launched to have incumbent Mahinda replaced as President, Sajith especially has ‘behaved’ all along. He could have raised a banner of revolt ahead of the no-trust vote, but his was the voice least heard during the time. So are there other voices, which were muted. Where voices were heard, like that of junior minister and ‘senior’ economist, Harsh de Silva, they were all in praise of Ranil, defending the government, and promising ‘change’. They did not represent all of the party, or at times any of the party, not even the next man sitting in Parliament or in a party conclave. They are also the voices of self-praise, sugar-coated in the praise of the ‘leader’, if only to be seen and heard, more than listened to – by the cadres and voters alike. Theirs are ‘His Master’s Voice’ kind of voices that is reciprocates in the short-term, but for the medium and long terms, their voices (alone) cannot help them, they too have promises to keep – other than those made to the leadership of the time, and purportedly by the leadership, but which remains unsaid and hence unexplained, too.